Topical application is one of the many ways you can reap the benefits of those dark bottles of essential oils sitting in your drawer. Be it the acne on your face or sore muscles, when essences like lavender, peppermint, and tea tree are absorbed into the skin, the advantages are numerous. What some people don’t know is that applying pure essential oils can cause an unexpected reaction, depending on the oil, which is why we dilute them with the use of carrier oils when we apply it on our body. While there are many carrier substances, our focus is jojoba and its advantages. This carrier substance is loaded with the antioxidant vitamin E and contains silicone, which can aid with healing scars. 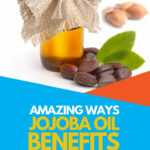 If your goal is a healthy mane, then the copper and zinc found in jojoba oil are something you should consider. It also has iodine, selenium, and chromium, which are all important. When blended with a few drops of lavende r oil, you will create a serum that can help reduce any scarring you might have from wounds or even stretch marks after pregnancy. It’s these ingredients that make this wax ester a go-to in the cosmetic world. 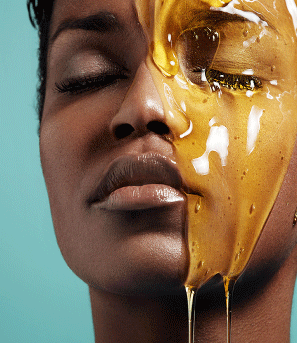 Some of us have oily skin or oily portions on our skin. While some oils are comedogenic, which means “to clog pores”, this one is not. It is non-comedogenic and safe to use. In fact, it stops the skin from producing its own sebum, which is fantastic for those of us who suffer from an oily skin and stops those breakouts and problems that arise with clogged pores. A good ‘blend’ for skin breakouts could include this and some ylang-ylang, lavender, and a drop of frankincense. Before applying any essential oil anywhere, be sure to dilute it appropriately. The standard ratio is one teaspoon of carrier oil to two drops of essential oil. Because this carrier substance is antimicrobial and anti-inflammatory, it works wonders to keep the skin looking refreshed and young. The main reason is the vitamin E, which is abundant in this carrier and works wonders at getting rid of those free radicals that cause aging. When you apply it to your lines and wrinkles, they should start to diminish about 25% of what they were. Also, the antioxidants involved will help produce new skin cells. 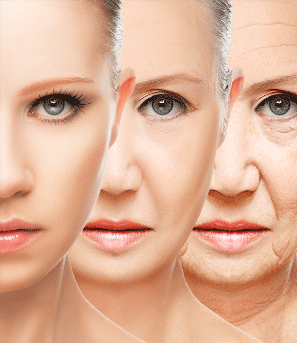 Add a few drops of frankincense and you’ll have an anti-aging potion. Makeup is made of several water-resistant materials, but they can’t stand up to the power of this mighty wax ester. Just put a couple drops on your fingers and rub it onto your face gently. Then rinse with water. Pat it dry and then apply some more, mixed with your favorite essential fragrances for a hearty moisturizer, which we will get to later in this list. If you use this with a touch of lavender oil, then your makeup removal will not only get a boost but will also smell great. It’s obvious why the world jojoba is synonymous with epidermis health. I told you I would get to that later and here we are. If you want your skin to feel resilient and smooth, then an organic jojoba would be a good choice. Ceramides are oils found in the epidermis, and this carrier has a lot of them. They protect the cells, which keeps them hydrated. An added bonus is the lack of residue, which some oils leave behind. While these ceramides are protecting the cells and keep them hydrated, they are also putting up a shield against any of the trapped moisture escaping. It also seals the area so allergens and dust can’t find their way in. Pulled from the seed of a bush by the same name, this invincible carrier substance can also help you turn your brittle cracking nails into hard talons if that’s the look you are going for. It’s that vitamin E again along with the moisturizing properties that help your nails grow strong. Just rub a little bit on your cuticles after you shower or before you hit the sack and watch those nails become beautiful and long. Some things spoil. That’s the way the world works. When you buy a bunch of green bananas, you know somewhere in the back of your head that if you don’t eat them within the week, they will be a good of rotting black mess, and you’ll either need to freeze them for banana bread or stick them in the compost uneaten. Oils are no different. They do have an expiration date, although none of them expire as quickly as the banana. As long as you keep your jojoba stored in a cool dark place, it should last for a few years. Some say it doesn’t spoil due to its lack of triglycerides, but there are different opinions on this. When in doubt, buy organic and keep it in the refrigerator if you can to lengthen its life. Folks who are looking to stimulate an increase in hair have given this oil a try and have found positive results. Because sebum excretes from our follicles as well to keep our head moisturized, those little openings can become stacked up which can cause the strand to break or fall out. Besides that, strong locks can’t grow in follicles that are clogged. Jojoba has shown to break down those blockages, which makes way for new strands to grow. While clearing the clogs, it also stimulates the creation of new cells, which initiates growth. Massage it onto your scalp with some peppermint, rosemary, and lemon for an invigorating feel and a few new strands of hair. When you replace your old foam in a can shaving cream with a blend of this carrier with chamomile, tea tree, and lavender, you are taking a natural approach to your shaving regimen. Not only will it moisturize while you are shaving, but it also has properties that will stave off that burn your razor leaves behind. Ladies, this doesn’t mean that the shaving perks are only for the men. You too can do what you can to stop that razor burn from wreaking havoc on your legs. With a few dashes of essential oil, you’ll come out of the shower smelling heavenly. One of the major marks of a tired person is those deep ominous circles under their eyes, even though that isn’t the only cause of these unsightly rings. No matter what causes them, for those of us that have these dark beasts sitting obviously under the area of our eyes where people can see them the most, then this oil is worth a gander. Add some chamomile, rose essence, or lavender so your serum packs an extra punch. Because this carrier has assets that work as cleansers, besides removing makeup, it can pull off any lingering dirt or residue. We already know it pulls the clogged sebum out of follicles and pores, which is why it can work wonderfully as a scalp cleanser. With its antibacterial and anti-inflammatory properties, the end result is a head that is fresh and feeling rejuvenated. When you use it as a base with your favorite essential scents that aid in cleansing like patchouli or ylang-ylang, then you’ll find that the excess buildup of that product you’ve been using will disappear with the bath water. The skin on the bottom of your feet is tougher than the kind you find on your cheeks, and it takes a strong moisturizer to break through those calluses and cracks. If you are anything like me, you are on your feet a lot, moving around the house, walking the dog, or just hitting the town to run errands, then your feet take a beating. The heels crack, and it can even become painful if it isn’t treated. Jojoba with some eucalyptus and peppermint rubbed on your heels can do wonders for the dry thick epidermis that tends to accumulate. The peppermint will give your feet a tingly feeling that makes it feel as if the blend is penetrating your heels, which it is. It’s no secret that basking in the sun is not the smartest thing to do, especially without some sort of sunblock. But, we love going to the beach and the lake, as well as on boats, parks, and everywhere else that the good weather wants to take us. When you live in an area of the world where summer only comes around for a third of the year, you do what you can to get some rays filled with vitamin D.
So, accidents happen and there are times when we find ourselves with red shoulders and feeling the sizzling tinge of too much sun. If you apply jojoba, the pain will not only be eased by the vitamin B and E that is in it, it will also begin to mend the sun damaged skin. The bellies of pregnant women take a stretching, that is for sure. 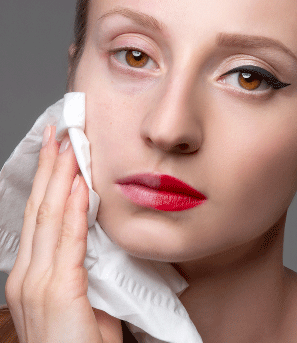 It makes sense that, once the baby is born, the skin will start to restore itself back to its original form, but the areas that stretched can leave dark marks that are difficult to get rid of. All it takes is a little bit of this extract massaged on the belly while you are pregnant, two times every day. It will keep the area moisturized and reduce if not completely prevent any stretch marks in the first place. Add a little lavender or patchouli for an added boost. I hope that you learned something about this carrier oil and enjoyed a line or two along the way. For me, I love the fact that jojoba has a soothing effect while not adding much of a scent to my blends. This way I can enjoy the lavender or ylang-ylang scents without any odorous intruders. If you enjoyed what you read then please leave us a comment and let us know. Also, it is important to mention that my experiences with essential oils may not be the same experiences as everyone has with them. Before applying, consuming, or inhaling any volatile oils, always consult a healthcare professional.